Great location in the heart of Oakhurst on a quiet cul de sac*Close to shopping and restaurants and the new HEB shopping center across from the entry to Oakhurst, scheduled to be completed in the Fall of 2019*A stunning Highland Home featuring wood flooring in the entry, halls, study, dining room and greatroom*Very flexible floor plan with all 4 bedrooms on the first floor w/2 full bathrooms and a spacious gameroom, media room and full bath up*The kitchen is a cook’s dream with stainless steel appliances, tile flooring, gas range, extensive granite counters and cabinetry, undermount and above cabinet lighting*Custom moldings and trim*Climate controlled walk in storage room next to the gameroom* Oversized yard that’s one of the largest in Oakhurst and perfect for entertaining and ideal for a pool, play equipment or lovely gardens*Covered patio with a summer kitchen w/built-in grill with rotisserie*The garage features epoxy flooring*Move right in, it’s pristine in every way! Please, send me more information on this property: MLS# 72900851 – $359,900 – 25018 Hudson Knoll Drive, Porter, TX 77365. 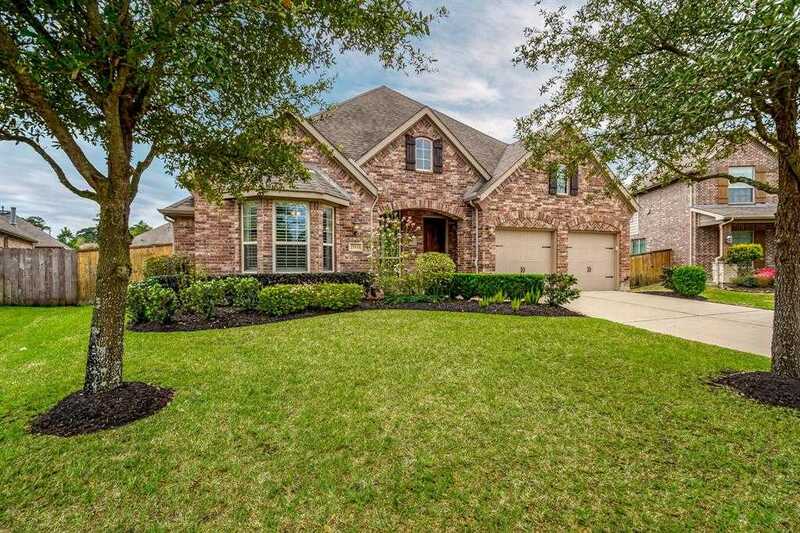 I would like to schedule a showing appointment for this property: MLS# 72900851 – $359,900 – 25018 Hudson Knoll Drive, Porter, TX 77365.